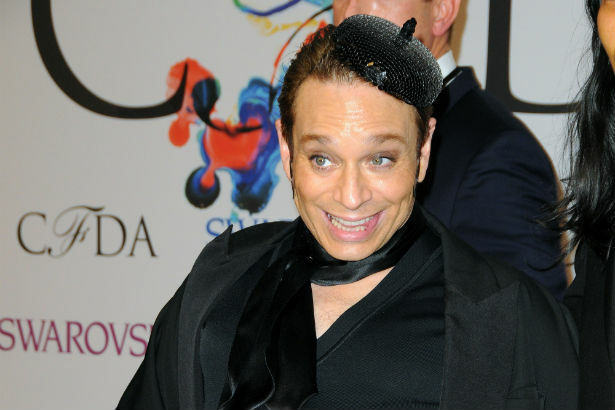 For far too long, the phrase "you can't have-a the Mango" has rung true, as it's been at least 8 years since Chris Kattan left SNL, making his famous character but a fond memory of 90s kids whose parents let them stay up past midnight on the weekends. But thanks to Alexander Wang, who also brought back Mad TV staple Bon Qui Qui last year, Mango's back, starring in the designer's latest short film for T by Alexander Wang. Promotion for the film started last week and continued at last night's CFDA awards, which Kattan attended as Mango, clad in all black, alongside Wang and model Anna Ewers. The 8-minute flick follows the fascinator-clad star as he emerges back on the scene from his hideout in the Arctic to appear in Wang's video, which he finds out he's not actually the star of. But in true Mango fashion, the pint-sized divo steals the show with his hilarious quips and ultra-cool dance moves. Derek Blasberg, Behati Prinsloo, Real Housewives of New York City star Sonja Morgan and artist Sharaya J. join Kattan in the very funny film, which is certain to go down as one of Wang's best to date. Watch the entire thing above.